Australian-born, LA-based musician Ry Cuming releases his third album on the precipice of stardom. With a major TV advert feature and a Maroon 5 support slot in his rear view mirror, the narrative suggests that this is his time. The record, safe and polished, does nothing to suggest otherwise. ‘Unfurl’ is made up of tracks that are just memorable enough to last for as long as you’re listening to them and no longer. Warmly produced, the effect is that we are met with vocals that are slightly too perfect and over-slick, all a little inert. 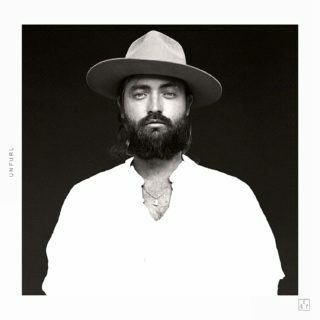 ‘Untold’ is typical, with its shuffling, soft-knocking rhythm underneath rich, layered vocals, giving a taste of Justin Vernon but without the guttural emotional wrench. The best track is ‘Body Sun’, with its stop-start drama, enigmatic refrain and hypnotic piano hook. It lacks the big move that defines most of the rest of the record, namely the lurch from Cuming’s spoke-sung low register delivery to the falsetto moneyshot, an algorithm that becomes all too familiar after a dozen repetitions. There are only glimpses of real emotional resonance, but it is competently made, devoid of jagged edges or artistic surprises. It’ll probably do very well indeed.